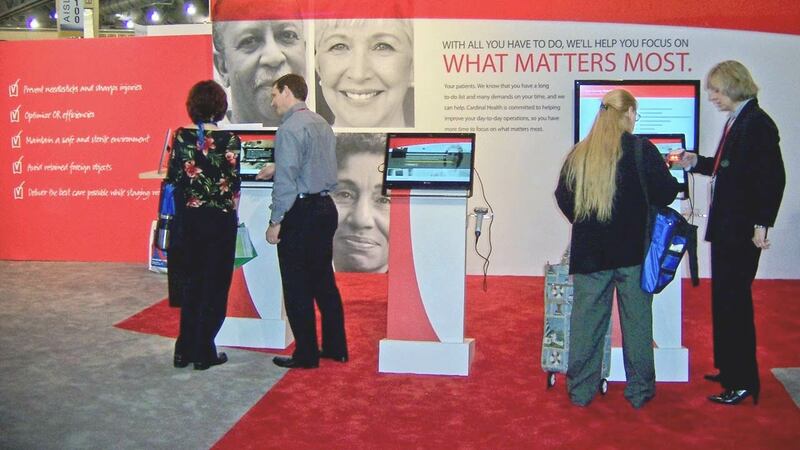 Cardinal Health sought an innovative way to introduce programs at tradeshows while capturing information for future marketing initiatives. Working with Digital Skye, Provis developed a touchscreen application that allowed users to scan their attendee badge to load their information. Users were able to print maps based on their interests and digital signage announced hourly winners and real-time survey results with animated graphs. The tradeshow apps were a huge success and continue being used today.